The Department for Communities and Local Government is consulting on changes to the way parish and town councils are set up in England. Since the 2007 legislation that allowed parish councils to be formed in Greater London, a new mechanism called a community governance review has been used to create town and parish councils. This represented a devolution of power from the secretary of state to the principal local authorities. 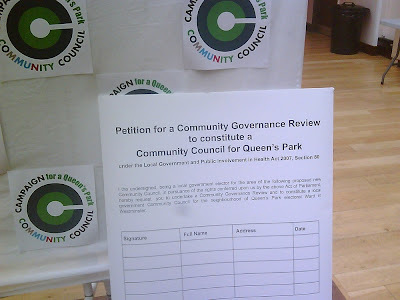 Taking Queen's Park as an example, the only successful parish council in London to date, it took four years from having the idea to form a council in 2010 to coming into their powers in 2014. This is partly due to electoral cycles, but also the guidance for governance reviews which allows local authorities in excess of a year to set the terms of reference and complete the review. The governance review is only triggered once enough signatures have been collected on a petition. The consultation makes a number of suggested changes to the guidance for principal authorities and has the option of changes to legislation. The department would like responses to their consultation by 9 January 2013.